A landing page is a place you send traffic when you really want some action. And no, this has nothing to do with Craig’s List personals. It can be a sales page, an email opt-in page, a video landing page, or even a content landing page designed to rank well in search engines. As you might have guessed, there are a lot of ways to screw these up. Here are five of the most common mistakes people make with their landing pages. More importantly, I’ll tell you how to avoid making them yourself. Landing pages live or die by the quality of the headline. It’s your two-second chance to overcome the swift and brutal attention filters we’ve developed due to information overload and poorly-matched promises. Often, a better headline alone will boost the effectiveness of your landing page, and even overcome some of the other mistakes below. Split-testing different headlines is relatively painless, and can bring you much higher conversions compared with multiple other tweaks. Most of us who use content marketing as an attraction strategy use a content management system, such as WordPress. That means we’re using design themes for the visual presentation of our sites. While your typical sidebar and header approach to a blog post is fine, when it comes down to traffic hitting a landing page with a singular focus on specific action, all of that extraneous stuff causes confusion, distraction, and reduced conversions. Lose the clutter and create the cleanest page possible when you want some action. Why is it when some people decide to ask for some action, they lose their minds on the appearance of the page? Bad fonts, garish colors, cheap highlighting, and silly clip art do not make for better conversions in most cases. What they do is crush your credibility. While using your standard blog theme is distracting and confusing in the landing page context, there’s no need to become the typographical equivalent of a carnival barker, either. Great landing pages use fonts, colors, and visuals that are tailored specifically to the audience and action you desire, thereby enhancing the experience and boosting conversions. Did you know that web users spend 80% of their time above the fold? Does that mean people won’t scroll down the page? No, it just means you can’t take it for granted that they will (instead of leaving). Don’t be lazy about grabbing and holding attention. Don’t assume everyone instantly “gets” the benefit of your offer the way you do. Don’t overestimate your credibility. In short, don’t drink your own Kool-Aid. Think about it from their perspective, and you’ll realize you might not be all that (until you unequivocally prove you are with compelling copy). Ready for more landing page goodness? About the Author: Brian Clark is founder of Copyblogger and CEO of Rainmaker Digital. Get more from Brian on Twitter. Landing pages are important and I’m happy you cover these. You made some great strives with the 5 main points. Some celebrity copywriters I know put much emphasize on a good headline. It makes sense. If you didn’t have an enticing headline, then nobody will want to read the copy body. The other element people skip to is the P.S. (usually, you will also find a P.P.S.). As Joseph Sugarman (i.e. legendary copywriter, marketer and entrepreneur) used to say, ” the purpose of the headline is to get you to read the first line…the purpose of the first line is to get you to read the second line…etc….Yada, Yada, Yada.” Actually, I got the Yada stuff from Jerry Seinfeld. Also, the copy deck is useless without good layout and graphic design – as you correctly point out. Great. Now I’ll fly my imaginary airplane over to the Copyblogger landing page airstrip. Any good copywriter puts serious work into the headline. As you point out, if the headline doesn’t work, the rest of the copy doesn’t get read — which means it doesn’t matter how brilliant it is. So, you’re suggesting to totally change the site design on a landing page? The way we usually do it is to use a design that’s related, but highly streamlined, with sidebars removed so the focus is entirely on the content and the action we want the reader to take. Here’s an example. The design is closely related, but distracting elements are removed. Some people go with a completely stripped-down look, just text on a white background with headers, etc. removed as well. That can work well, so it’s worth testing. It might pay to dig around in your wordpress theme as well. The twentyten theme for example, has the default theme with widgets aplenty BUT, if you look, there is a second page design which is just a full width, one column layout with no sidebars at all. Great if you are writing something to keep someones attention. AND it’s just one click away! He didn’t say that. He said you should keep your site design the same. However, you should eliminate distractions that takeaway from your overall goal. For example, if you take a look at the Content Marketing 101 series. You’ll see an introduction to Content Marketing, a few articles about content marketing, some social proof, and then, a call to action. You’ll also notice that he got rid of the sidebars on that page. Chances are, ditching the sidebars helped increase conversion rates on his form. No he’s not he is suggesting on cutting down on the clutter normally placed on your site. This might mean getting rid of top level navigation so the user has nowhere to go or get distracted or losing any cross sell messaging. These are things you can test easily to see if conversion rate increase or decrease. Radu, Mike is right, although in some cases a complete clean redesign might be in order, usually it’s something that is a cleaner and specific to what the page is supposed to accomplish. For example, our IMfSP email opt-in page. Notice that while the Copyblogger color scheme is maintained, the header is custom to the newsletter. The red bar navigation is gone, as is the side bar. Even some of the styles within the body have been changed. I’ve had some success with using the same header as my primary site and zero navigation except for the log in on my landing page. My current theme on my primary site allows me to build custom landing pages and remove the side bars. Why would you want side bars on a landing page anyway? Agreed that less options leads to a higher conversion rate. You can easily do that without affecting your blog if you wanted to. There are squeeze page themes that allow you to use them in a single post. It eliminates the distractions and focuses on conversions. Something worth looking into as I use them successfully. Thanks for the tips on landing pages. as Randy said above it really is essential that she now everything sequence to keep the reader reading and getting deeper into your landing page. A blown title or horrible design or terrible aesthetics just ruin the whole page. So in other words, basically do everything on the IMFSP page you sent us to at the bottom of the post. Got it. For an email opt-in page, we’d like to think that’s a good example. But remember, that’s only one type of landing page. The only thing missing from the IMFSP page is a little Social Proof. Although, I suspect that was intentionally left off. Derek, we’re relying on 5 years of quality free Copyblogger content for our proof. Now, if we were throwing cold PPC traffic at that page, it would be different. Yep, and that’s why I mentioned that you left it off on purpose :-D. I think, for most people, they would be better off including social proof, though. Yeah, even a blurb or two for readers might not hurt. But that page converts like crazy as is. This is what I say about the power of content marketing — if you’ve developed trust and credibility with content, you’re about 85% of the way there. It’s the final 15% that even trusted people screw up and get lower action numbers than they should. I think I read on another blog (might have been Andrew & Daryl Grant’s) that putting an opt-in form on their sales page reduces sales conversions by 75%. I have seen bloggers put up a “sales page” for an ebook or something as a regular blog post, and the blog has an opt-in form on the sidebar on every page, so their conversions must be abysmal. That’s assuming that the opt-in isn’t the conversion they’re looking for — in other words, the action they want the reader to take. You have to pick. Damn. So much I’ve learned these past 2 years, and so far to go. Damn Damn Damn Damn Damn. Sometimes I have trouble just editing a post if my headline is weak. Everything seems to perk right up once it’s fixed. Thanks for the tips, they will come in handy when i finally get round to making my landing page. Great Insights !! We have just finished doing a re-brand on our website with this exact focus. I definitely agree with the cheap clip art and fonts aspect as well as using themes. If you going to be on the internet make a statement, or expect less than results. Often new business owners go for the cheaper option in design which is why they get less than desirable results. All great tips and points we should take notice of. Here is a great look @ the Anatomy of the Perfect Landing Page. I’ll go back to Rosser Reeves. Sure, he was decades ago but to me the ultimate landing page constructs a Unique Selling Proposition in such a way that I don’t feel “sold” but I feel like I’ve made the right decision and most importantly that I’ve taken action. In other words, why is your product beneficial to me and why is it something I can’t get anywhere else. This all falls under Brian’s tip of “Asking for more than one thing”….we tend to drift when we write. Shane, good point. My updated version of the USP for landing pages is called the “premise.” I’ll be talking about it on tomorrow’s podcast. Thanks Brian…definitely look forward to that…. What’s the CopyBlogger consensus on those Gary Halpert style sales letters. BUT – guys who are supposedly “legendary copywriters” like Halpert, David Garfinkel and John Carlton use that style all the time. They also write very conversational, but VERY long copy. Does that sort of style/writing work as well online? Notice I said in most cases. Those copywriters are very talented, but they also market to the business opportunity crowd, where conversion rates historically increased with that approach. Try that in most other markets, and you’ll disgust people. Even our audience would hate that. But, talking to guys like John Carlton, he knows that the wind has shifted in terms of design and aesthetics. When John writes sales pages for the golf market, they look noticeably different than when pitching a copywriting course online. The “ugly online salesletter” used to work because it seemed more authentic. These days, great design is inexpensive and expected. Things change. Nothing wrong with long copy at all. Sometimes providing more information, benefits, and proof is exactly what’s needed to boost conversions. Again, it’s how you deliver all of that (presentation) to your particular market. Well, Halpert’s been dead quite awhile, and was primarily a print copywriter, so web design wasn’t really his specialty. The traditional “ugly” web sales page, with big red headlines, yellow highlighter, no graphics, is designed for traffic that’s completely cold, for example pay-per-click traffic. Conversion (like for any cold traffic) is tiny, and they have to get the attention of the most desperate buyer. It’s all about exploiting that second or two of attention you get after the click. As traffic becomes more expensive, many are moving to a more content-and-relationship model, where you capture the traffic with really useful content and develop a relationship before you sell to them. Of the more traditional guys, Perry Marshall has written some great stuff on that. If you already have traffic and a reputation — for example, if you have a growing blog — the traditional “ugly” sales page makes you look like a cheap carny barker. It’s not in line with everything else you’ve created. It’s just too jarring, and it causes readers to question your intentions. There are some brands that are “built around ugly,” Dan Kennedy’s coming immediately to mind. In their case, their sales letters are very much in alignment with the whole brand, which is “back to basics, no frills” design. Ugly sales letters test better in some scenarios. They’re not “wrong,” but they’re usually wrong if you already have a relationship with the customer and you’ve started to build trust and credibility with good design on your primary site. Thanks Brian and Sonia! Great answers. @Kasey: Tis the coolness of content marketing. Brian’s been hinting to Premise in several posts (and tweets If I remember). He’s building up excitement, and anticipation for the product. By the time the Premise landing page launches, he’ll need no lighlighting as we’re already jazzed up about the product. The other guys don’t do any prior content marketing so they have to get us jazzup up on the sales page with Skyrocket – Explode Your Sales – No Brainer highlighted Wow-text. Super point. A strong build and a great relationship with your audience are a much more effective way to get excitement going than red headlines and blinking arrow clip-art. Those tools are what you use when you don’t have that relationship, trust, and anticipation built. One thing I’m always worried about is making my landing page seem too much like a scam. It seems like so many get rich quick scam artists are very good at landing pages and I now associate landing pages with scams. Do others make this same association? And any tips to avoid seeming like a scam? This post may be helpful: The #1 Conversion Killer in Your Copy. Brandon, take a look at each page linked from the red bar at the bottom of the Copyblogger header. Those are all forms of landing page. Do they look scammy to you? Lol. I meant more of the sales page landing pages. And I am assuming. But they do seem like they are able to sell really crappy products. I’ll check it out. I think I read them about 6 mo this ago but it’s time for a refresher. My landing page is crappy (for now) but the video seems to overcome some fears that I’m a scam. (There are things that are terribly, terribly lazy about that page, but the video is convincing and took 3-4 hours). I’m moving from my site back to front to enhance the experience. Right now, I’m at “credit card confirmation page,” and the next page will be the checkout page, then post opt in page, etc. Always, always more to be done. landing pages work mainly as a sales page and having a creative and good landing page helps you to convert that visitor into a customer and helps you to make money. Here are some more points that can help. Brian, can’t wait for more info on Premise. Totally agree with you in regards to “above the fold” strategy. Nice article, thanks for the tips. That’s a powerful one-liner reminder. Sell the sizzle before the steak. Brian – they say timing is everything and this article really is – thank you once again for the insight. I spent the whole of yesterday building the landing page linked to my name and I think I may have done pretty well. Really don’t mean this to be a pitch – but if there’s any genuine advice from out there I’d appreciate it – the keyword is hopefully obvious. Great article and tips, but the study about having content “above the fold” failed to mention that there’s a scroll wheel on the mouse that makes it much easier to scroll down a page then it was 10 years ago. 10 years ago I wouldn’t scroll down a page, one had to click and then drag scroll bars, now it’s about the wheel of the mouse. Obviously you don’t put all the content above the fold — but if what’s there isn’t compelling, it’s so very easy for your reader to click to something more interesting. As a user experience designer who frequently has to design landing pages I was really happy to see this article. There seemed to be some confusion about what was meant #2 Using Your Sites Regular Design. What we normally do is shave all the brand items down to a minimum. In other words keep the logo, but remove as many links as possible – we also remove the navigation of our website. Remember that when you have a landing page you want to help keep the visitors focus on what you’re offering. Having something like links to other pages of your site could be a potential distraction. Course you could also cross sell your offer on other pages where appropriate but I’m getting complex here. I agree with that, and often clients (or some exec, or someone equally qualified) will see repetition and try to prune it out. These are great insights. After implementing some of these tactics last year, our website became much more effective at capturing clients’ attention. Thanks! Thank you, thank you, thank for your 2nd point. This is so often overlooked. Marketers will get a one size fits all mentality when it comes to page templates. It’s like if it’s in WordPress all of that doesn’t matter and all is forgiven. People are so easily distracted, don’t make things harder for them! Great post as always Brian. Loved the information in the blog about landing page errors. Can’t wait to get the lessons on creating great landing pages (even though I’m not quite ready for one). Will have to go into my documents and re-read Smart People articles for a refresher course. They were great and got me started. with my blog. It would be interesting to know how many blogs were started and kept going because of the rich content you two have continually written for Copyblogger readers. The comments here by Brian and Sonia were great. Thanks. Brilliant article, I agree with Ahmed, this should be read by everyone who owns a website! Great content and comments -perfectly timed as always. Though while you’re at it Brian..could you just come up with the next ‘ithing’ like an ‘ibrain’ That shouldn’t be a stretch! That way.. I can simply download the complete content marketing app. directly into my head at night. Of course I’d need Sonia’s copywriting App too.. The one step at a time method is just so yesterday! ..I’m following the bread crumbs. or in this case cake crumbs.. It sounds like I might just get the ‘iBrian’ version coming out as Premise. Sounds pretty close to the ‘ibrain’ I wanted anyway! – only I’ll still be incharge! Good list. I think the best advice is the clear and simple so the reader doesn’t have to thing. I have a need and you can provide a solution with a great offer that I can’t refuse. This “paradox of choice” reveals that when given multiple options, the decision ends up being not to choose at all. I agree. I’ve always said that bookstores should carry one title only, and that the Starbucks business model with all those flavors and sizes is doomed to failure right out of the gate. So what’s your landing page? I landed here, and this page appears to be your regular site design in direct violation of landing page rule #2. 1. This is a blog post that drives traffic to a landing page at the end. 2. There’s a great book called “The Paradox of Choice” that’s backed up by psychological research on the topic. You should read it. 3. You promote yourself as an online copywriter and you don’t know this stuff? Wow. 1. I suppose you’re referring to the “Sign up here for free” link. Didn’t see it. 2. I believe you, but the folks at Starbucks obviously never read the book. They just added a fourth (!) size to their assortment of choices (“Trenti,” or something like that). 3. No, I don’t know this stuff. I confess I am also blissfully unaware that I promote myself as an online copywriter. Does my commenting on your blog automatically count as such promotion? a great headline never fails to draw in readers. 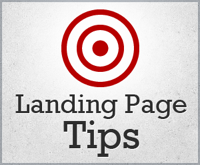 Landing pages is very important for selling your product or service. If you don’t make it attractive and if you don’t give an outline of what your product or service is going to be, you will never get conversions. I like your tips Brian. Especially regarding more than one product and up the fold. Sadly, but it’s true that most of marketers make these mistakes. Thanks for the tips! I’ll be reviewing my sites to make sure I haven’t fallen into any of these traps. Great post, Brian. I’ve wanted to split-test different landing pages (mainly the headlines) for a long time, but I’ve been unable to find a good plugin for it that works with WordPress. Can you recommend one? Surely doing it manually isn’t the best way, is it? Hey Sonia, thanks for your reply. Yep, I get the newsletter. And I think I’ve figured out what’s coming…can’t wait to hear details! Hey Sonia–What newsletter? Do you mean your email list or am I missing something?! The Internet Marketing for Smart People email newsletter .. it’s a separate email list from the blog subscription. Oh, I’m on it! Thanks. Exactly, I speciafically like the one about using one specific action to take, because when you ask people to take more than one action, none or the wrong one is taken. I’ve seen this on so many sites, with like 30 banners and links all over the place, I immediately just closed it out. I remember when I created my first landing page and asked for advice I was told that I should put a header on it. I’ve learned since then that the advice I received was wrong. Now you kind of confim it too that any distractions ( I think that would include a header) should be avoided. I guess it pays to be very careful about whose advice you take. Sidebars are easier to talk about — nearly always a no if it’s a true landing page where you want to focus reader action. I personally always include a header in all my landing pages. I tried it without and didn’t like it. I want visitors to know where they are landing even if they are not going to my Home page and even if they haven’t visited my site before (it’s part of my branding and it helps establish trust) You can see how I’ve done my landing page (using Premise) here http://jivenationtoronto.com/dance-classes-modern-jive-trial/ Each landing page has a different name so I can identify them and track their coversion. Ideally if you use Adwords ppc you should have a landing page for each keyword, it really improves your conversion rate. Kiss It Short and Sweet. Excellent advice. We’re amidst a site re-design and these will be especially helpful for when we discuss the new face of our company site and blog. Thanks! I think that the mistake I make is that I just assume people will do what I want them to do, thanks for making me realize this. A lot of people make that mistake! Including some big, expensive ad agencies. What we usually recommend is a related design but with distractions like sidebars removed. But it depends on the specific factors, and the only way to know for sure is to split test the different options. Split tests can reveal things that don’t make any sense, but are nonetheless true. Hi, i created a landing page and did’nt see much of conversion, i am just re-evaluating based on your advise, and it looks like i have over looked many things. Thanks for your help and suggestions. This is very helpful. Regards, Madhan. Ive recently started building landing pages using wordpress. We used a forms plug to put the lead generating form top right above the fold. We’ve already had some inquiries from our google adwords campaign to the page and some sales (average sale $4000). WordPress has a Google Optimiser plug in which should hopefully help find better converting pages using a scientific method rather than just guesswork in conjunction with the Google optimiser service. I look forward to learning some insights using this. Unfortunately that plug-in for Google Website Optimizer seems to have been abandoned and is not supported. Sadly, that happens with free add-ons to WordPress that are designed for attracting links instead of real customer support. Ah – that’s no good.. Hopefully we will be able to work around this. Thanks for the heads up. We’ll let you know how we got on in terms of setting up a test. Sorry for commenting something that is 100% irrelevant to the topic. I’m Nisha, a 25 year old girl from India. It has been my dream to become somebody like Brian Clark, a Blogger and Writer admired by the whole world. Can anybody, including this great man behind this blog, suggest anything – the basic steps to get started? Great article. In my experimentation with various landing pages, you hit some of the most important aspects of the landing page straight on the head. In addition, I would say that all landing pages should now contain video because it will drastically increase conversions to whatever call to action you may be after. Good point about video — in most mainstream markets, it’s become essential to conversion, as most people still just don’t like to read. EXCELENT, Great article. My landing pages increase conversions. I have just written a sales page for a client and I have a question for you. The page I wrote was a short copy page–headline, a few bullet points, a video and a “buy now” button. I know that technically the “buy now” button is a call to action, but my question whether it is enough? My page has very little copy and adding “be sure to buy now” is a little awkward. But I feel funny leaving the page without specific instructions for the reader to follow. What is your opinion? Is a button enough of a call to action? That works! Thank you. I’m going to make these changes now. I appreciate your help. Thanks for a great article. I think number 3 is often the most overlooked. Asking for more than one thing can get the reader confused, get them to click away and lose interest and generally destroys the funnel. Great advice. Thanks. Does anyone know if there is landing-page creation tools for Joomla? One of the tips mentioned not cluttering up the page. I wonder if there is an extension for Joomla that builds landing pages without using the loaded template. I have been creating a bunch of forex landing pages and I have noticed that many of my competitors have been using landing pages that only contain a headline and video intially. After a specified amount of time the add to cart button appears. Has anyone tested this method to see if its more effective. Nathan, this type of landing page is very common in the make money online niche. Having said that I have seen similar style landing pages being used in other niches like weight loss- VinceDelMonteFitness.com, relationships- Savethemarriage.com etc. The only way you can know for sure is by testing. And if you need to build similar style landing pages, I highly recommend you to check out Optimizepress. It is user-friendly, easy and even a non-techie like me can set up professional looking landing pages just like the ones you mentioned in minutes using Optimizepress. I was surprised to learn that just having an opt in form on the left side of the screen(further from the scroll bar) vs. on the right side next to the scroll bar will decrease the number of subscribers. I’m specifically interested in techniques to enhance landing pages for lead capture. Your advice was very helpful, but I would appreciate more information about customizing landing pages to induce consumers to delve deeper into the site and ultimately, lead their information. Sites that yield too much free information and sites that demand immediate registration both fail to convert the passing consumer into a potential lead. I need to construct landing pages that both draw the public and persuade them to yield their personal data. Regarding the ask for one thing point, does this apply to asking for both “name” and “email”? I’ve heard just asking for email sometimes beats asking for both in tests. Asking for less always beats asking for more. But this all really depends on the niche that you are in. Sometimes asking for more might get you less optins but it gives you more quality leads. So you have to test what you have to offer, and what ultimately yields better results. I just bought templates where I can edit and move video and opt-in around so this information is timely for me so that I don’t make any mistakes along the way. I would hate to move my opt-in to the left side for example. Thanks! I’m amazed by the fact that 80% won’t go below the fold. When you combine that with the exponential drop in clicks once you drop from the 5 top places in google it makes getting your landing page right extremely important. Limiting options to one choice. One seems a little low? With regards to long copy…it needs to be long if you have a big ticket item to sell. It’s always important to provide a couple of options when it comes to pricing, etc. It’s the old A vs. B tactic. You’re going to buy or you’re going to buy. Great article Brian. I think I still need to work a lot more on my conversion rates. Creating proper landing pages has always been a challenge but thankfully I have always applied the advice you have on Copyblogger. Never heard of Premise before today though, gonna check it out now! It’s amazing at how difficult it can be to convince a client that a landing page will have better results than a landing page. Great article. I can say that because of my landing pages (and I am constantly tweaking them) my conversion rate has increased nicely. I use ppc as one way to drive traffic as I want to see what converts and how well it does so. I drive it directly to my landing pages and in this case have a free offer which, when they bring into class to redeem. I track everything through Google Analytics and another tracking package I have so I can see how many people download the coupon. It’s been trial and error but it has been fascinating. Landing pages help increase your CTR and my ppc conversions are high double-digits (since mid-March this year). They were not always this good. Although the link to the page is available from my Home Page I never drive people there (they can find it via my organic seo of course). But if they want to find out more about us they can scroll down to a link at the bottom and get to the main site. I can say there is both art and science to landing pages and you really have to test what works. At the end of the day it’s phone calls and foot-traffic that count for me, the landing page makes it easier to focus my effort. I also have a landing page that I use just for one of my workshop events – I use it as a standalone. One thing you left out was that it is important to use your keywords effectively and to understand how to tag. I use Scribe to check I’m using them the best way possible. I like Premise because it makes it very easy to create landing pages. But you could also use one of the Genesis page templates – the one that removes side bars. For myself I find Premise more professional and more flexible. My current project is to create a video for a different landing page and test how that works compared to the coupon. I decided to leave my full prices at the bottom of my page – it helps show the value of what they are receiving free – and people were calling and asking me anyway. I do find that many businesses still don’t see the value in landing pages… they send people to their Home Page (Big Mistake), whereupon people get lost and click away.